U.S. stock futures turned sharply lower Wednesday, Feb. 14, after a reading on U.S. inflation came in higher than forecasts. Contracts tied to the Dow Jones Industrial Average slumped 305 points on Wednesday, while those tied to the S&P 500 fell 30 points. The Consumer Price Index for January was 0.5%, higher than economists' forecasts of 0.3%. The increase in CPI over the last 12 months was 2.1%, unchanged from a year earlier. Core inflation in January rose 0.3%. Wall Street will be looking to the data to help it gain clues about the pace and trajectory of interest rate hikes in the U.S.
Retail sales in January fell 0.3%; economists had expected a gain of 0.2%. Stocks finished higher on Tuesday, Feb. 13, keeping alive a winning streak that saw Wall Street rise for three days in a row for the first time in 2018. The Dow Jones Industrial Average gained 39 points, or 0.16%. The S&P 500 rose 0.26% and the Nasdaq finished with a gain of 0.45%. Earnings are expected Wednesday from Cisco Systems Inc. (CSCO - Get Report) , Marriott International Inc. (MAR - Get Report) , Groupon Inc. (GRPN - Get Report) , Dr Pepper Snapple Group Inc. (DPS , Applied Materials Inc. (AMAT - Get Report) and Marathon Petroleum Corp. (MRO - Get Report) . 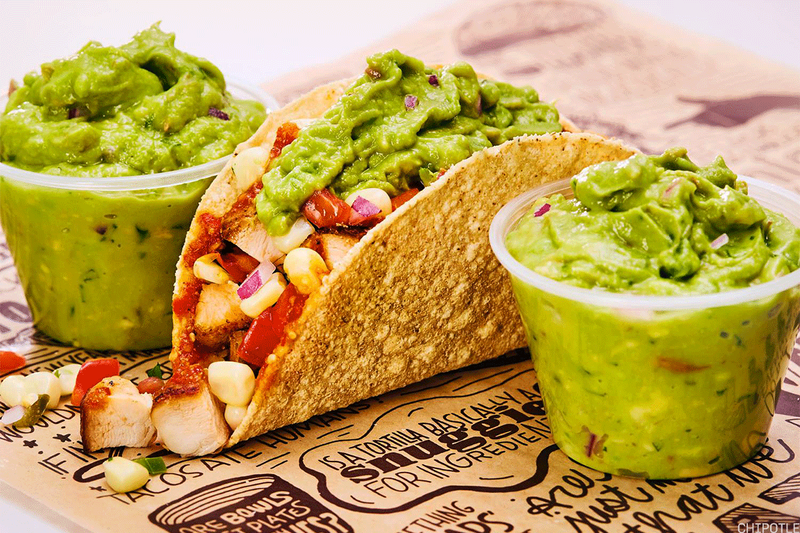 Shares of Chipotle Mexican Grill Inc. ( CMG - Get Report) jumped 11% in premarket trading on Wednesday after the restaurant company named Taco Bell CEO Brian Niccol as its new chief executive. Niccol, who has run Taco Bell, a unit of Yum! Brands Inc. (YUM - Get Report) , for three years, will succeed Chipotle founder Steve Ells on March 5. Chipotle has endured a host of struggles since late 2015, including multiple food poisoning outbreaks, a massive data breach and the continuous decline in sales. Its stock plummeted more than 40% this past year alone. The fast-casual chain announced in November that it was seeking a new CEO as Ells prepared to step down. Ells' departure follows activist investor Bill Ackman's settlement with the company that added four new directors to its board and the end of a co-CEO arrangement that pushed out former co-CEO Monty Moran. Credit Suisse Group AG (CS - Get Report) posted its third straight annual loss on Wednesday, saying that fourth-quarter write-downs related to the new U.S. tax law ate into profit. The Swiss bank reported a loss of 983 million Swiss francs ($1.05 billion) for the year and said it paid 2.74 billion Swiss francs in income tax expenses. The loss in the fourth quarter was 2.1 billion Swiss francs. Credit Suisse CEO, Tidjane Thiam, however, said the bank's strategy "is working" as it enters the last year of its three-year restructuring plan. American depositary receipts of Credit Suisse were rising 3.3% in premarket trading on Wednesday. Walmart Inc.'s (WMT - Get Report) Sam's Club, in an effort to compete with Amazon.com Inc. (AMZN - Get Report) and Costco Wholesale Corp. (COST - Get Report) , starting Wednesday will begin offering free shipping for "Plus" members on 95% of the items it sells online. Sam's Club also is converting its three membership plans into two. Sam's Plus will still carry a $100 annual fee, while the Business and Savings plans will convert to Sam's Club memberships with an annual fee of $45. The company is trying to better compete with Costco by focusing on the more affluent customer. "We are creating a new Sam's Club for our members," said CEO John Furner. He said the chain is targeting suburban families with children who have annual incomes between $75,000 and $125,000, which closely tracks Costco's core customers. Netflix Inc. ( NFLX - Get Report) signed a five-year deal with television producer Ryan Murphy, with some reports saying the deal was worth as much as $300 million. Murphy is a producer for Fox's TV studio whose hits include "American Horror Story," "Feud," "Glee" and "The People vs. O.J. Simpson," among others. The deal calls for Murphy to produce new series and films exclusively for Netflix. The deal starts July 1, when his current contract with 20th Century Fox TV expires. Murphy's move comes as Walt Disney Co. (DIS - Get Report) is expected to close its acquisition of Twenty-First Century Fox Inc. (FOXA this year. Netflix rose 2.3% in premarket trading on Wednesday. This article has been updated to include data on consumer price inflation and retail sales in January.